Tigar is a long-established European tyre brand, designed by specialists to offer high levels of safety at an affordable price. Tigar tyres have become a popular choice for drivers across the globe who are looking for a tyre that offers them both fantastic value for money and a great level of durability. The tyres are manufactured specifically with the continent's weather conditions in mind, which means they are top performers on roads across Europe. Tigar manufactures tyres for cars, vans and 4X4 vehicles, and its brand is one that has become synonymous with high quality at affordable prices. Modern technology used means that the tyres offer drivers a very smooth ride quality and durability that means the tyres are long-lasting and reliable. Tigar tyres are produced in a European tyre factory belonging to Michelin, one of the worldwide leading tyre manufacturers. The factory was founded in 1935, hence it operates with more than 80 years of experience in manufacturing rubber products. 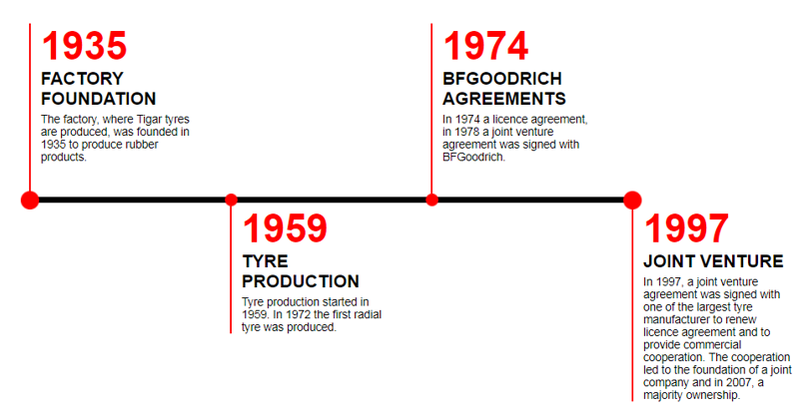 Tyre production at the factory began in 1959. Tigar High Performance - The Tigar High Performance tyre delivers advanced protection against wear through improved tread and casing construction ensuring long lasting durability. The asymmetrical tread pattern enables easy handling at any speed providing outstanding performance on wet and dry road surfaces. Tigar Touring- The Tigar Touring tyre provides ease of control when navigating the twists and turns of city roads. Thanks to Silica compound technology and a lower rolling resistance, this tyre city-ready tyre delivers on fuel economy. 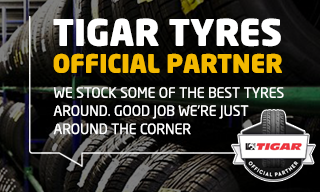 ATS Euromaster are proud to provide Tigar tyres throughout the UK at our service centres. For more information on available tyre ranges, use the 'Find Your Tyres' section of our website, or visit a service centre, where our experts will help select the right tyre for your vehicle.